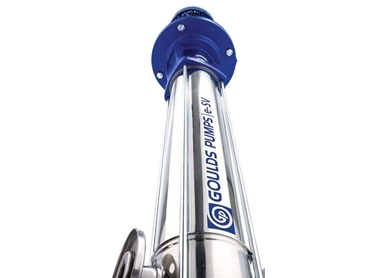 Featuring eleven different models, the Goulds e-SV range of vertical multi stage pumps is distributed in Australia by Brown Brothers Engineers Australia and can be specially configured for a wider range of applications. With flow rates up to 700gpm and heads of up to 1150 feet, these pumps have maximum operating pressures that range from PN16 to PN40. Pumped liquids that vary in temperature from -30ºC up to 120ºC can be pumped, with hot water design options available that can handle temperatures up to 150ºC. The e-SV range of vertical multi stage pumps adopts newly designed hydraulics and a high efficiency, EISA compliant motor to deliver maximum efficiency. Lower energy requirements ensure the e-SV range is more cost effective to operate. The new design also allows for the removal of mechanical seals without having to remove the motor, reducing repair time. A standard mechanical seal, wearing components, service tools and standard NEMA motors enable faster and easier maintenance and servicing.